If I were going to create the perfect dog-friendly city, it would look a lot like Austin. The weather invites outdoor activities, and Austinites take full advantage. But the best part is – whether they’re running, biking, playing sports, eating, or just sitting back taking it all in – they take their dogs along. If you’ll be visiting, here’s a handy little guide of things you won’t want to miss. The Pecan Grove RV Park has been our home for the past 7 weeks and the hospitality has been surpassed only by the location. Barton Spring Road is lined with pet friendly restaurants like Austin Java, P. Terry’s, Uncle Billy’s, Green Mesquite and Shady Grove and is easy walking distance from some of Austin’s dog-friendly finest. Being just a 5-minute walk from the off-leash area at Zilker Park has been a huge blessing for us … and for Buster. Our goofy dog has spent some part of nearly every day checking the pee-mail and catching up with his doggy friends at Zilker. The huge field is a popular off-leash area that is also used for picnics, impromptu soccer matches, and toddler play dates. It’s completely unfenced, so we’ve had the opportunity to test Buster’s recall … he’s doing really well! A nice forty-five minute walk puts us in the middle of the action on South Congress. Our favorite coffee shop, Jo’s Coffee has a great outdoor patio where the pooches like to hang out. A little further down the street is a pod of the trendy food trucks that are sweeping the country. These trailers are a common sight in Austin, and it’s fun to pull up a picnic table and sample some of the best food you’ll ever buy on the sidewalk. Dogs that love the water will dig Auditorium Shores. This huge off-leash area runs along Lady Bird Lake between Lamar and 1st Street. Austin’s dog beach is located here, and there is never a shortage of dogs willing to play. You don’t usually find a grocery store on a pet friendly tour, but the Whole Foods store in downtown Austin is the city’s most popular tourist attraction. The company is headquartered here and they’ve built a food buying experience like no other. Pets can’t join you inside, but there is a comfortable outdoor seating area where you can take turns keeping the dogs company and exploring the store. Austin is known as the “Live Music Capitol of the World”, and a good number of music venues are on Sixth Street. Taking the dogs for a concert might not be a good idea, but getting a bit to eat in the hip Warehouse District is! Even in chilly weather, the pet friendly patios are popular – and many are kept toasty with propane heaters. The dome of the Capitol can be seen all around Austin and it has been one of our regular places to walk the boys. Completed in 1888, it is widely recognized as one of the nation’s most distinguished state capitols. Located on the northern edge of downtown, it’s the perfect spot to grab a bench for a pet friendly picnic lunch. They also have a nice a self-guided tour that reveals the historical significance of the statues, historic markers, and trees around the Capitol grounds. If you’re feeling ambitious, continue north four blocks and take a stroll around the campus at the University of Texas. 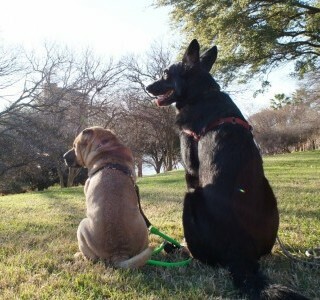 The Lady Bird Lake Hike and Bike Trail runs in a circuit around Lady Bird Lake and is 100% pet friendly. Austin boasts more than 190 miles of trails in the city, but this tree-lined gem has to be the most popular. The entire loop is 10.3 miles, starting at Zilker Park and stretching east to the Longhorn Dam that created the lake. If you’re not part of the RVing crowd, you’ll find a nice selection of pet friendly hotels in Austin. We’d probably choose the Driskill Hotel for it’s historic charm and prime location. Of course, the Four Seasons is also lovely – and even if you’re not a guest, you and your dog are welcome to enjoy the view from their back lawn overlooking the lake with service from the bar. My northwest dog did not like Austin. Too hot. He kept dragging me under the shade trees as we walked along the river. 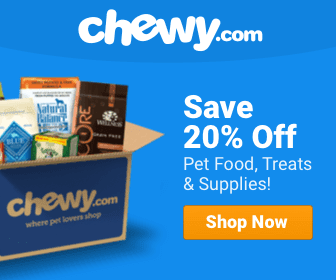 It’s not our fault your dog likes cooler climates. Us Austin raised pups are tough as nails! I think i have reach out before but your site still says we are dog friendly. And although we love our furry friends we cant have them at the restaurant due to some past instances. This misinformation is causing our customers to become upset because they arrive with their dogs and we have to turn them away. Your site is the top site that our customers are getting this information. We would really appreciate it if you we please remove this information. Could y’all please put that information on your official website or on your google page. It would help out a lot if you added NO PETS ALLOWED to your site or even a sign at the entrance of your restaurant. Shady Grove is NOT PET-FRIENDLY!! !